Within a year after suffering a combat-related injury in Iraq or Afghanistan, 40 percent of military women were diagnosed with a mental health condition, according to a new study. Of particular concern is that enlisted women were more likely to have a diagnosis of a mental health disorder and had “significantly lower quality of life” than the women officers studied, said Judy Dye, a researcher with the Naval Health Research Center, in a presentation to the Military Health System Research Symposium Tuesday. More than 1,000 military women have experienced combat-related injuries in Iraq and Afghanistan, said Dye. Although research indicates that psychological reactions do occur after combat injuries, little research has been done on military women who have experienced these injuries, she said. This research focused on women with combat-related injuries, and didn’t compare the results with men who experienced combat-related injuries. Researchers included any military woman who had a combat injury while on deployment to Iraq or Afghanistan between 2003 and 2015. The research, which hasn’t yet been published, considered their mental health diagnoses within a year after the injury. There were 1,012 women with adequate medical records to be included in the study, and 11 of those were injured more than once. The group of those with combat injuries was primarily enlisted, with 62 percent in the ranks of E4 to E6, and 85 percent served in the Army. Six percent served in both the Air Force and Marine Corps, and about 2 percent served in the Navy, Dye said. More than half of the injuries happened during the woman’s first deployment. Researchers looked at a variety of factors that could be related to the mental health outcomes, such as injury severity, age, rank, branch of service, number of deployments, military occupation, social support, environment and the initial treatment facility. 89 percent suffered minor or moderate injuries; 11 percent suffered serious or severe injuries. Those with minor moderate injuries were less likely to be diagnosed with a mental health disorder. The largest number of women served in combat support, communication and transportation occupational specialties. Yet those who served in combat support and communications had decreased odds of developing a mental health disorder after the combat injury, Dye said. Enlisted woman had increased odds of developing a mental health disorder after the injury, compared to the officers in the group. Air Force women had higher quality of life after the injury, compared to the other service women. 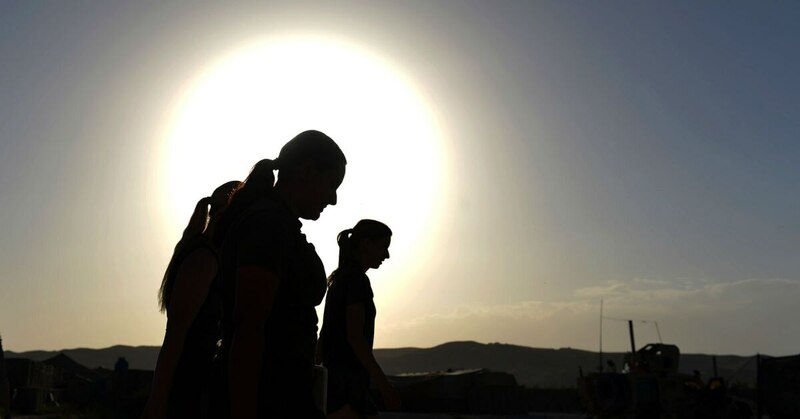 The researchers gleaned this information from the 204 military women who are participating in the wounded warrior recovery project, using a measurement of physical functioning and social activities. Enlisted women had lower quality of life after the injury, compared to officers. “This study reinforces … the need to provide focused intervention and support primarily for the enlisted female population, but also to other folks in our military female population,” Dye said, especially as the roles of women in the military continue to evolve. “We need to find ways to build resiliency, while continuing to monitor trends in how women injured in combat react to their experiences after they’ve deployed,” she said.